✻ T u m b l e d S T O N E S ✻ BLUE LACE AGATE~ Great Quality. 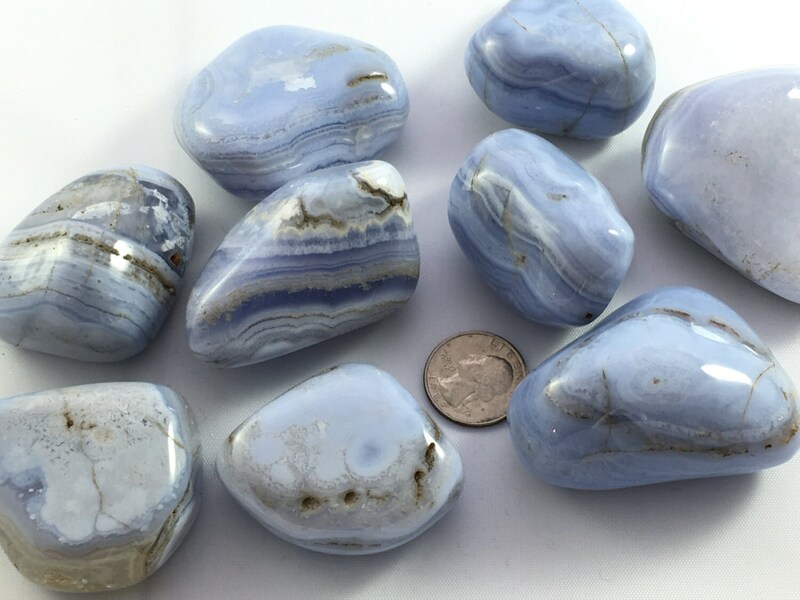 Blue Lace Agate enhances communication, clarity, and confidence. It has the ability to assist one is speaking their mind and heart in a way others can hear. Helps those who have difficulty expressing themselves due to fear of judgement of self-doubt. Useful for those who are unable to stop talking or speak before thinking.